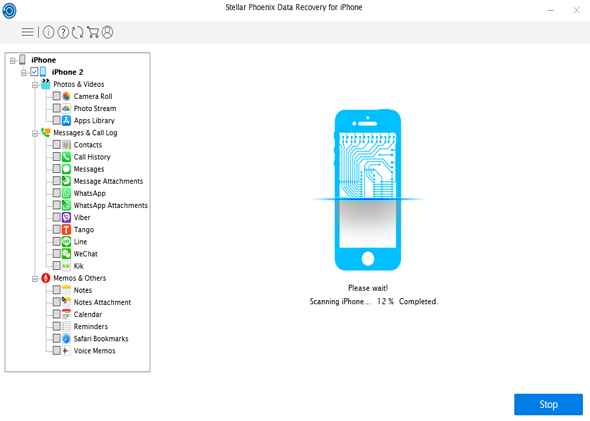 Stellar Data Recovery for iPhone is the best DIY software to recover missing or accidentally deleted Contacts, Messages, Calendar, Photos, Videos, Call History etc directly from iPhone or iPad. 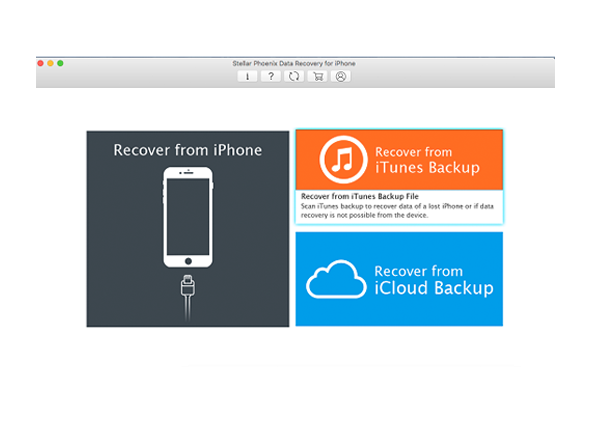 * The demo version of the product allows you to scan & preview files from iPhone, iCloud and iTunes backup files. 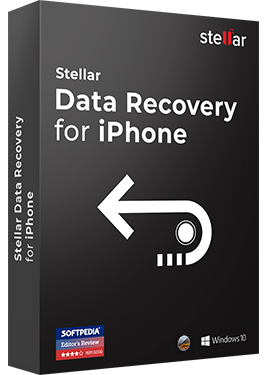 Stellar Data Recovery for iPhone is an easy-to-use application to efficiently recover lost or deleted photos, videos, messages, call logs, memos, and others from any kind of iOS devices whether it be iPhone or iPad. 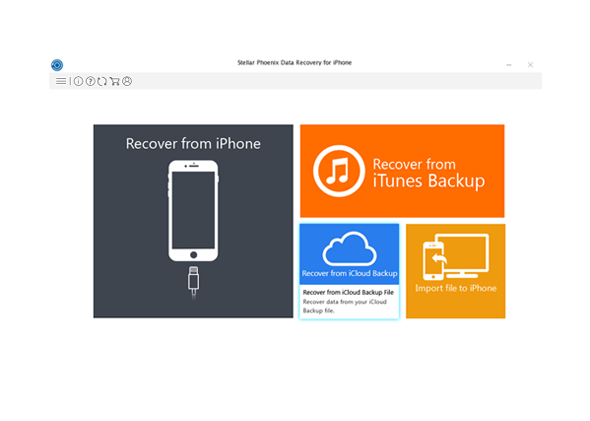 Moreover, the software is capable to perform selective data recovery from iTunes and iCloud backup. 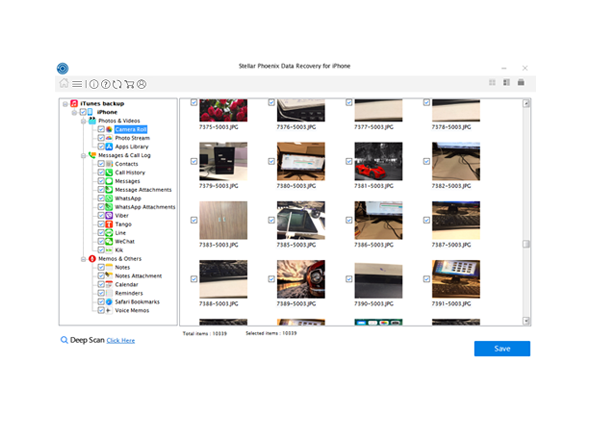 The application supports the latest iOS 11 and is available for both Mac and Windows platform. 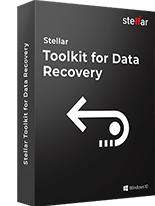 This tool has noteworthy features such as enhanced deleted data recovery, support for deep scan, selection window, encrypted device recovery, and encrypted iTunes backup file recovery. 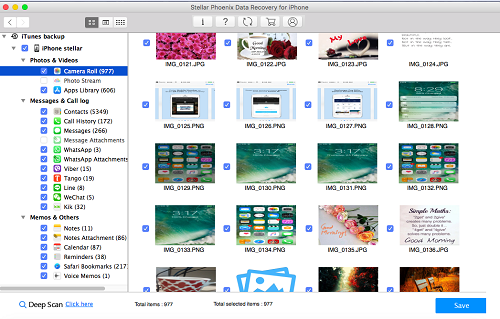 Stellar Data Recovery for iPhone recovers lost Photos & Videos from Camera Roll, Photo Stream, & App Library; Messages & Call Logs such as Contacts, Call History, Messages, Message Attachments, WhatsApp, WhatsApp Attachments, Viber, Tango, Line, WeChat, & Kik; and Memos & Others like Notes, Notes Attachment, Calendar, Reminders, Safari Bookmarks, & Voice Memos. 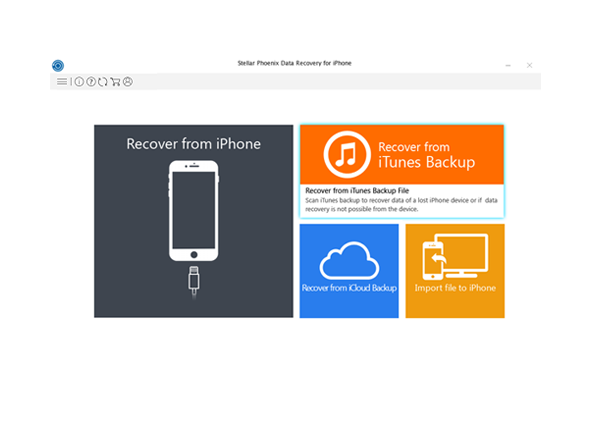 Stellar Data Recovery for iPhone for iPhone recovers data from diverse iOS devices irrespective of their models including iPad Pro, iPad, & iPad mini, iPhone X, iPhone 8, iPhone 7, iPhone 6s, iPhone SE, etc. 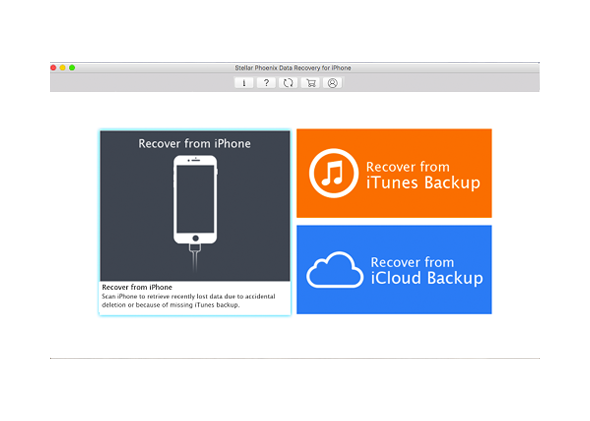 The software can also be used to perform selective data recovery from iTunes & iCloud backup files. 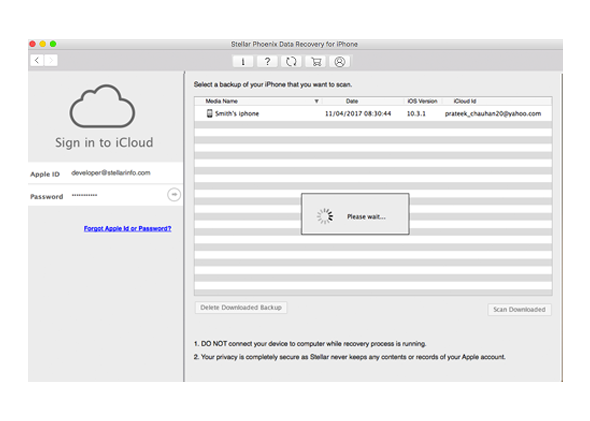 Even encrypted iOS device and iTunes backup files can be scanned and recovered. 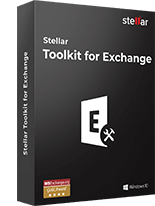 The do-it-yourself software is quite intuitive and easy to use. The first screen of the wizard provides the three important options: RECOVER FROM iPHONE, RECOVERY FROM ITUNES BACKUP, and RECOVERY FROM iCLUOD BACKUP (extra option of 'Import file to iPhone' in Windows). 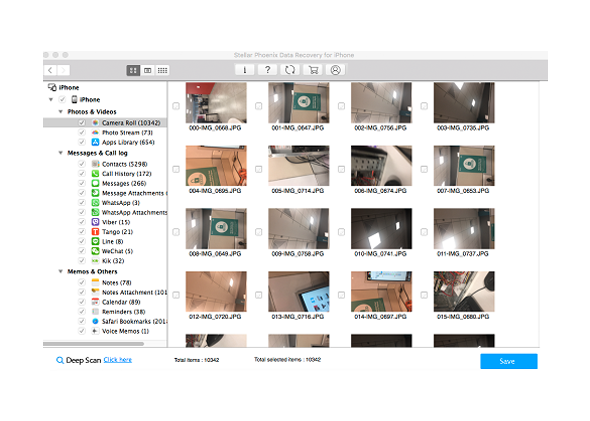 The tool offers thumbnail preview of scanned videos and allows preview of notes, calendar, & reminder. 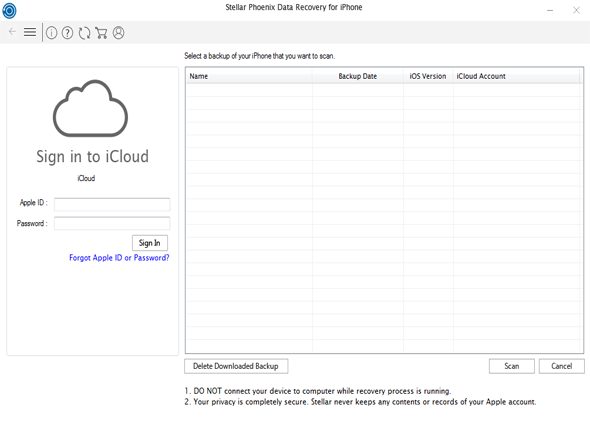 Stellar Data Recovery for iPhone analyzes the connected iOS device and if multiple devices have been connected, then it lists Device Name, Device Type, and Serial Number of the connected devices. 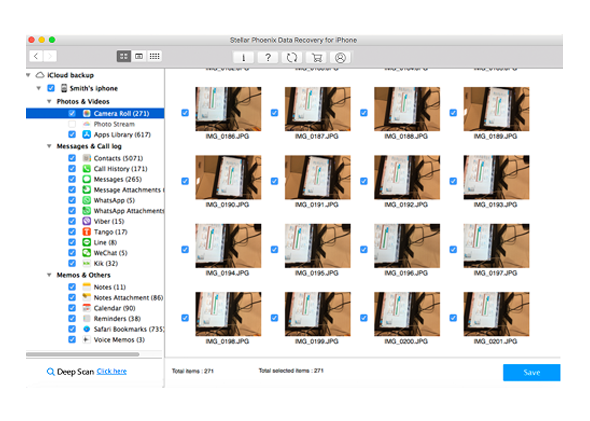 Once the analysis of the device is complete, the software scans the connected device and recovers lost data thoroughly and quickly. 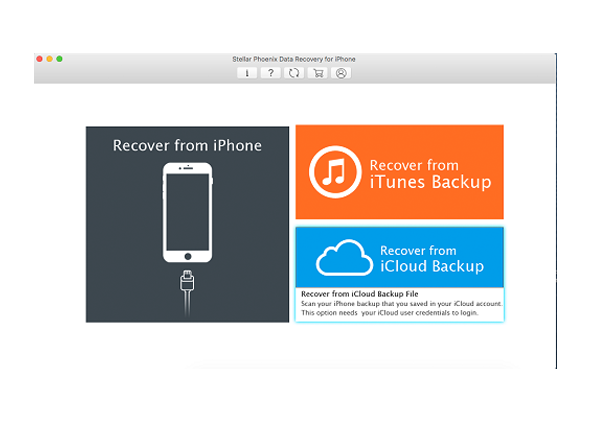 Select backup file to recover and if the backup file is not listed, click "Add Backup" to add it. 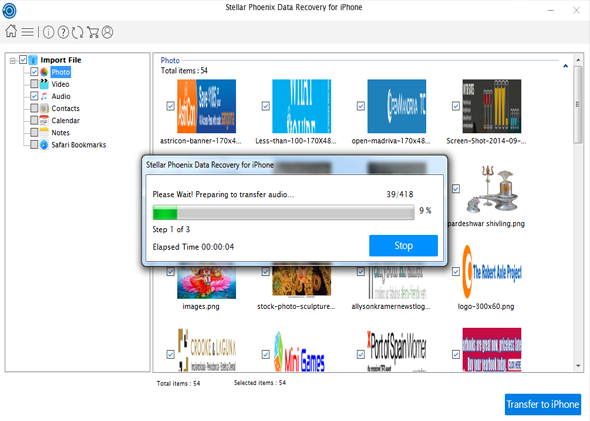 Excellent software to restore obscure pictures!! 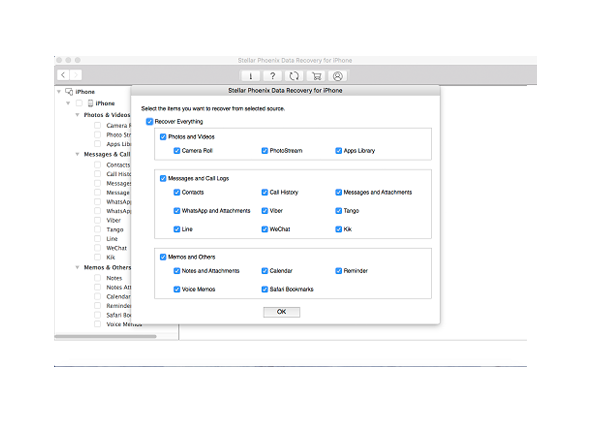 My iPhone ran slow and had no enough memory. 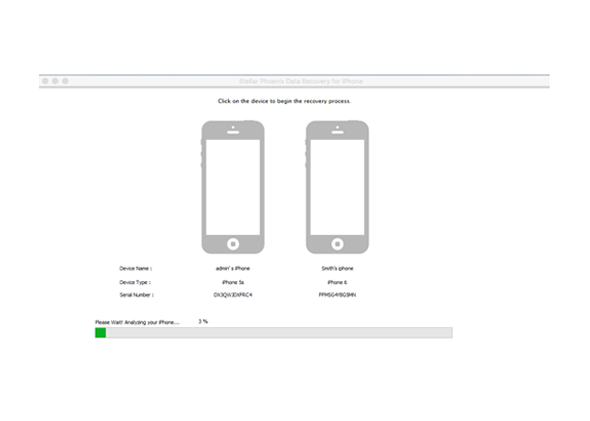 I deleted many applications and stored files. 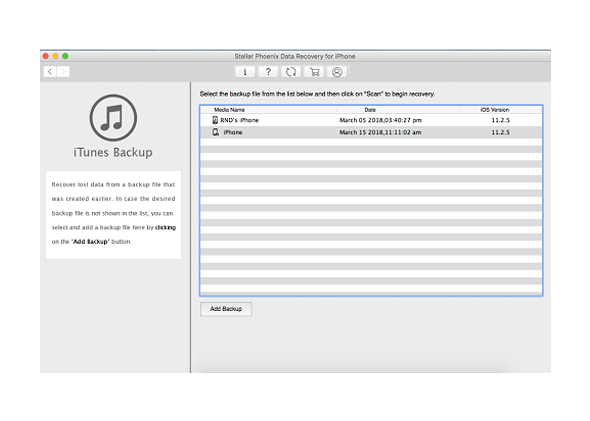 Sadly, removed few important videos of my 1-year-old niece. (Broken Hear). But yesterday, I tried your application, and it got those videos back. 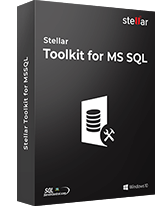 I feel that a thank-you is surely not enough. 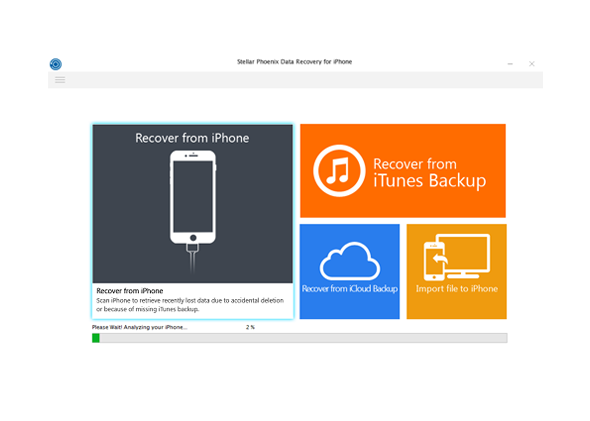 Had a smooth experience of recovering my deleted data on iPhone 6 Plus with your application. 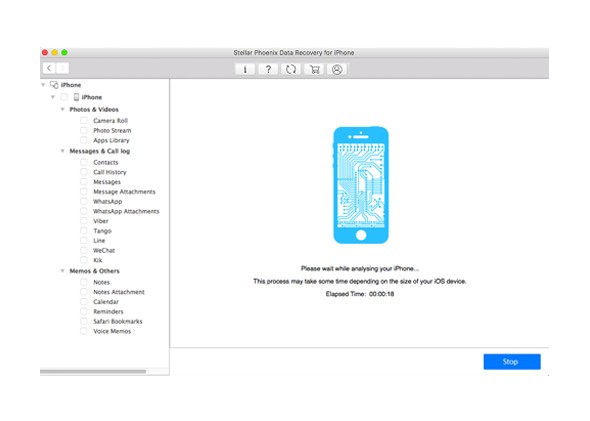 The interface looked refreshing, and it quickly performed the scan on my 64GB device. 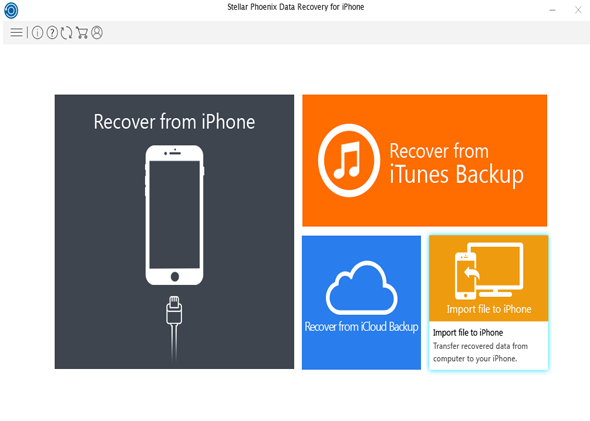 I must Thank you guys, you also saved my money as I was about to pay $120 to a local data recovery shop, but your utility did the job in $50. 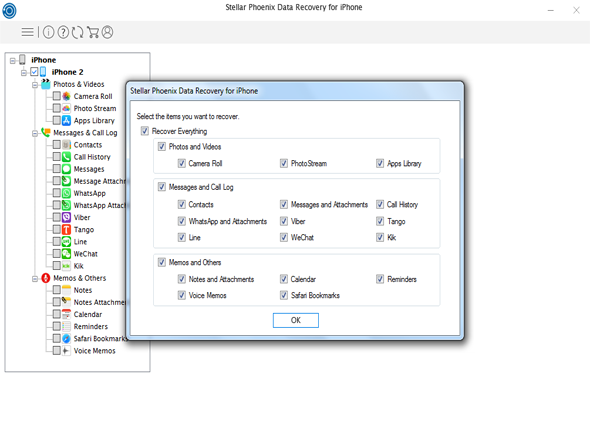 A vital application that saved my data from getting roasted. 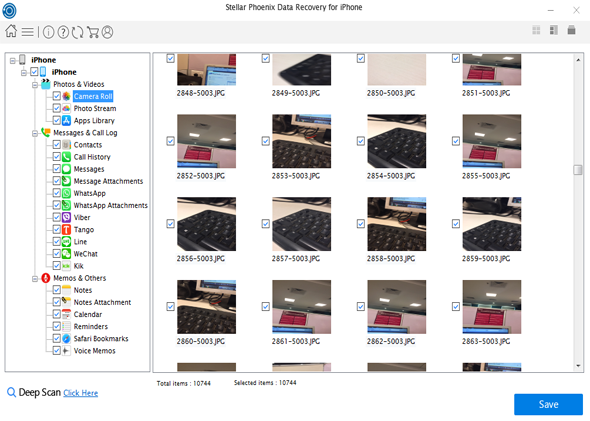 Just before disposing of my old iPhone 4, Stellar Phoenix data recovery for iPhone recovered massive 2 GB of deleted camera pictures for me. 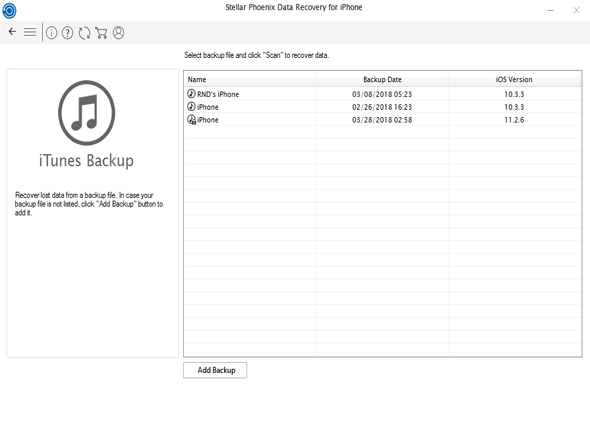 I am totally amazed since I had no backup of this iPhone with me and software magically brought back my deleted pictures. 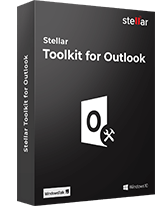 Highly recommendable software? 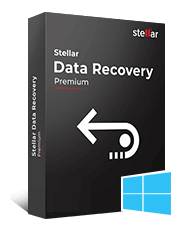 Comprised of the advanced features which make it capable of recovering the lost data? 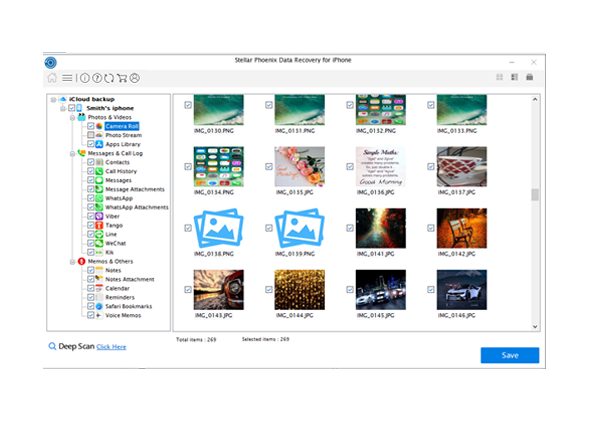 I am an amateur iPhone photographer and I consider your application as a must have utility for photography.